It’s Saturday, our March Dream Teams boxes are arriving on doorsteps all around the world and we are about to embark on a little Book Box Club countryside walk with some of our members this afternoon! We’ll update you on our adventure over on our social media and if you couldn’t make it this time, worry not! We are hoping to plan some more meet ups soon. 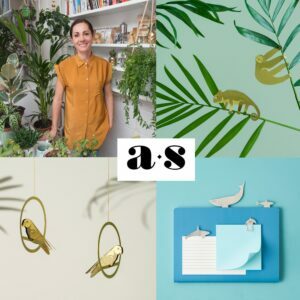 Another SUPPLIER REVEAL for our April box: Meet the very talented artist who we will be collaborating with on an exclusive fabric item for our Bold & Brave box! An update on all you need to know about our BOLD & BRAVE April box and how to join in on the fun! Exciting news! This April we are teaming up with Italian illustrator (and trainee neurobiologist) Mariateresa from Rimatesa91, to bring you an exclusive fabric item! 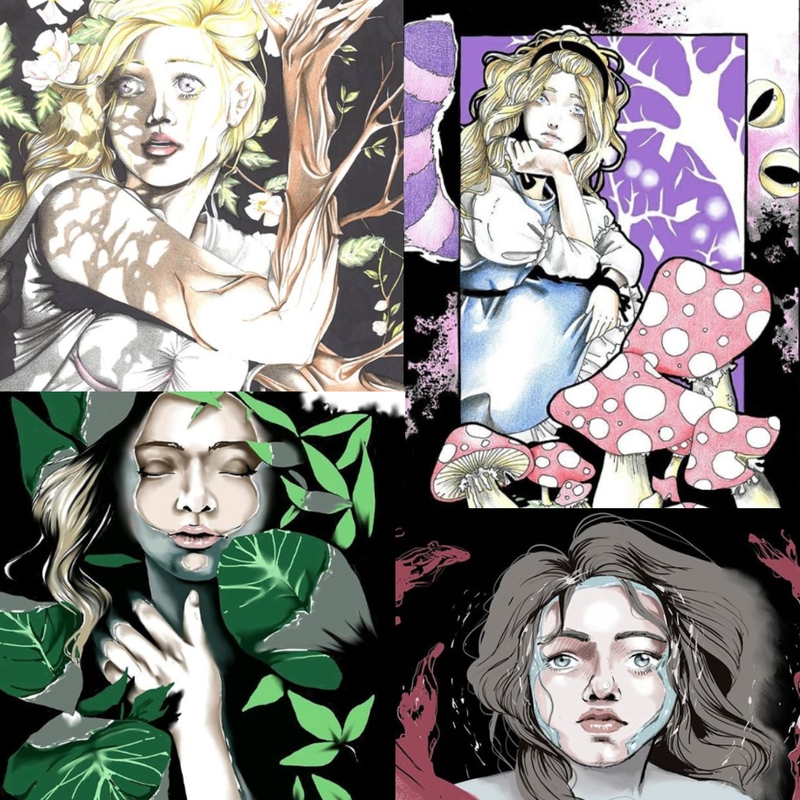 If you were the lucky recipient of our December 2018 Rule the Stars box, then you might recognise Mariateresa’s illustration style from the beautiful Alice in Wonderland artwork that we featured in our Unashamedly Bookish Calendar. Mariateresa was one of thirteen brilliant artists who contributed artwork for our annual illustration content calendar and we are so excited to be working with her again. This April, we’ve commissioned Mariateresa to create an exclusive item especially for our Bold & Brave box. We’ve already seen her artwork and we can confirm that this fabric item will be super-useful, absolutely stunning and inspired by one of our favourite characters ever! 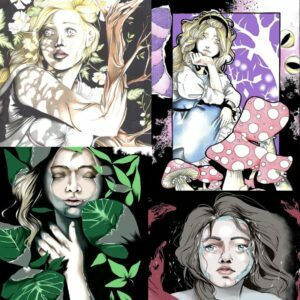 To explore some of Rimatesa91’s artwork go and check out her etsy page and don’t forget to follow her on Instagram. 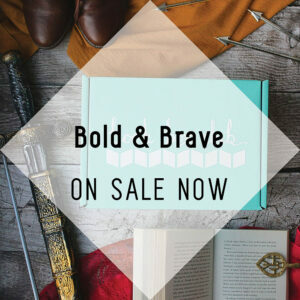 There are now a limited number of our BOLD & BRAVE April boxes available! We are so thrilled that you guys are as excited as we are about our April theme. If you’re yet to join us, here’s why you’ll want to make sure that you don’t miss out on this box. Our featured read is set in a richly described ancient China, and follows a young soldier who is hell-bent on vanquishing the enemy and finding the inner courage to out the truth. If you’re a fan of Renée Ahdieh, Laini Taylor and Sabaa Tahir, you’re going to adore this age-old legend with all its magic, sword fights, forbidden romance and hidden identities. This book will not be featuring in any other book box (so don’t worry about about awkward double ups!). Book Box Club subscribers will also receive a curated selection of bookish goodies inspired by some of the most courageous characters in fiction so get ready for items in spired by Game of Thrones, Harry Potter, Throne of Glass and more! As well as the stunning fabric item illustrated by Rimatesa91 – our BOLD & BRAVE boxes will also contain an exclusive and beautifully designed item made by Another Studio! We can’t wait for you to see! All our our subscribers will be invited to our members-only online book group, where you’ll get the chance to meet the author of this brilliant book and ask her your questions! Book Group is always one of the highlights of our month, we can’t wait to chat to you all! Remember, if bookish goodies aren’t your thing our Purely Books subscriptions offer the same great books and membership to our book group, just without the extra bits and bobs. Our April boxes and Purely Books subscriptions are available on our subscriptions page now and are selling fast so make sure you join us now to avoid disappointment! If you are already one of our lovely members, your BOLD & BRAVE box has already been set aside for you. Please make sure your details are up to date for renewal day on the 25th March (that’s this Monday coming). We look forward to sending you your box around April 15th.